Frank Simonis is the chairman of the Blu-ray Disc Association. In the past he's been very outspoken about the HD format war between HD DVD and Blu-ray. This week Tech.co.uk cornered him to see what he thinks the tipping point will be in the HD war, and whether the end is nigh for either format. Tech.co.uk: At what point will we be able to say: "There is a winner in the format war"? Frank Simonis: We believe content is what will drive adoption of an HD format. And with seven of the eight major studios now releasing Blu-ray titles in earnest, Blu-ray's content advantage is apparent. 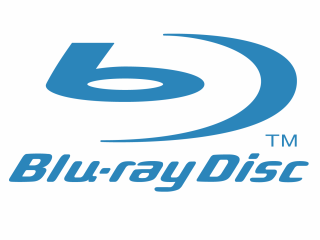 Blu-ray has already surpassed HD-DVD in terms of the number of titles available for purchase and the gap is continuing to expand as five studios are publishing content exclusively on Blu-ray. Additionally, according to data from Nielsen's VideoScan, Blu-ray titles outsold HD-DVD titles by a 2-to-1 margin in 2007. If the trend continues on a linear basis to 3:1 or 4:1, it would be hard to see how HD DVD could ever catch up. These are arbitrary ratios, but they have important psychological value. Tech.co.uk: So what do you think the tipping point is? Frank Simonis: The tipping point will be the overwhelming availability of Blu-ray Disc hardware and BD movies at retailers. Retailers in the USA (Blockbuster, Target, Wal-mart) and Europe ( Free Record Shop, Blockbuster) are already starting to decide between the formats. At IFA, 14 brands introduced BD CE players (Philips, Sharp, Sony, Denon, Onkyo, JVC, Panasonic, Samsung, Funai, Pioneer, Hitachi, LG, Loewe, Daewoo, PS3). HD-DVD has just one (Toshiba). Tech.co.uk: Do all the Hollywood studios have to support the victorious format before it can be a winner? Or is this all about sales? Frank Simonis: It's not necessary for all studios to support one format for one to become dominant. Again, using our content unit sales measure, we find that a group of very successful movie studios might be responsible for 80 or 90 per cent of sales volume because they have consistently put out films that are highly popular. At the end of last year, we found that 18 of the top selling DVD titles for all of 2006 were distributed by Blu-ray supporting studios, and 15 were from Blu-ray-only studios. Interestingly, the breakdown of this particular list remains exactly the same despite Paramount and Dreamworks' recent decision to back HD-DVD. So, only Blu-ray enjoys the support of Disney, Fox, Sony Pictures, MGM and Lionsgate, and both formats have the support of Warner Bros. But if the majority of blockbuster films are released by BD-supporting studios, then it's hard to see how HD-DVD can overcome a significantly smaller amount of content unit sales, since big titles sell in big volumes. It's also important to point out that we could not achieve larger sales volume of titles without a significantly larger (and growing) installed base of BD players. This is possible because of the relatively huge penetration of PS3 game consoles and the growth of set top CE player sales. Tech.co.uk: How much of the market does Blu-ray have to claim, how many players and movies have to be sold? At the moment there is a lot of talk about percentages, but the numbers are still very small. Frank Simonis: The main BD competition is with current DVD businesses, not HD DVD, making the main hurdle consumer understanding, for example when the consumer does not understand the benefits of or enjoy high definition. Hence, consumer education is key. Tech.co.uk: It's clearly futile for someone neutral to try and predict which one is going to win, so I was wondering what the benchmark is... what's the target? Is the Japanese market an indicator? Frank Simonis: The USA is more of an indicator for Europe, and Japan is a recorder market more than player (90 per cent is already BD). In the USA, BD CE players outsell HD DVD CE players, despite the price difference, which is minimal. BD movies have been outselling HD DVD for a long time. It's a matter of time that we reach this stage in Europe which is expected this calendar year. Tech.co.uk: You seem very confident that Blu-ray is going to come out on top. So I suppose the question could boil down to: at what point will the likes of Toshiba and Microsoft have to join the BDA? Frank Simonis: We cannot predict when that will happen, but certainly we welcome the companies to join.